On the 27th of October, Table Talk by We Are Table was launched. We Are Table is the combination of the programs Grow, Two Good, Young Mums Cooking School and Table Talks. 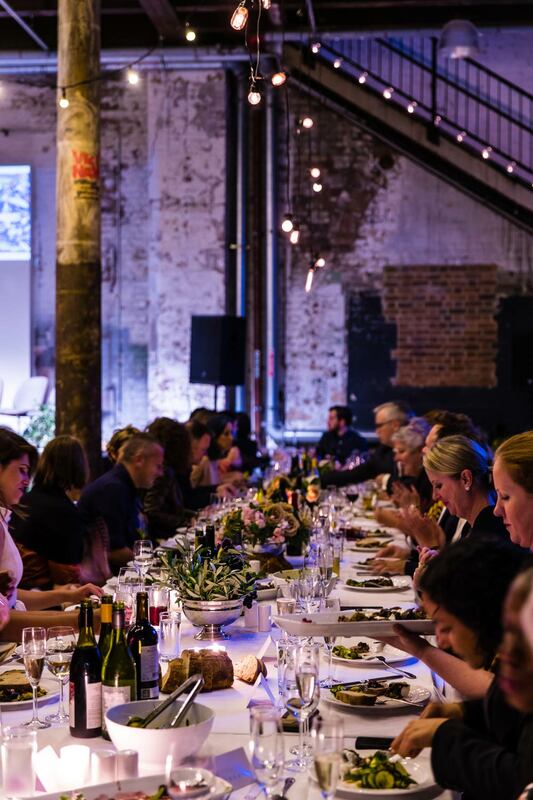 Davenport Campbell are proud sponsors of the event and this year we styled the heritage Elston room at Carriageworks, Eveleigh. Food writer, restaurant critic and cookbook author Jill Dupleix hosted the evening of inspiring talks, music performance and artworks all linked by food. We Are Table believe that ‘food is more than food’. When good food and people come together, there’s potential to make a real difference. That’s why our story begins and ends with shared moments in the garden, the kitchen, and around the table. Table cloths designed by Sydney artists were displayed and auctioned on the evening to raise money for We Are Table’s cause towards people in need. BVN Architecture collaborated with the artists to make this possible. The evening was a huge success and we would like to extend our thanks to all the generous sponsors and all involved in making the night possible. We are proud to continue our support of We Are Table. Click here to visit their website to find out more. We Are Table is an organisation made possible by the tireless work of founder Rob Caslick, his team and all the volunteers that donate their time, visit their Facebook page here. To view all images by Nikki To visit our Facebook page here.